On this Album, Jahn performs “Donna”, “Hallelujah Freedom”, “Annabelle” and “Loop-Di-Love”. These are four of the songs on this compilation. On this album with Finn kalvik there is a label error. Side 1 has the label for Popol Vuh. Popol Vuh’s first album: Popol Vuh. And side 1 for Popol Vuh wich is at side 1 at Finn Kalvik`s record. On this album with Lars Mjøen, Jahn plays guitar & percussion. The rest of Popol Vuh are musicians at this album. Pjokken Eide: Pjokken Eide performs rødt, hvitt og flott. LP, MC & 8 Track, Karusell Records, 1973. Karusell Records – 8 Track 3843 098. Popol Vuh performs “Neon Nightmare” from the single from 1973 and “Dark nights” from the album “Quiche Maya” 1973. LP, MC & 8Track, Polydor Records, 1973. Polydor Records – 8 Track 3842 009. Recorded live at a show in Holmenkollen with Popol Vuh. Popol Vuh performs: “The art of living” from the single released in 1973 and “Hunchback” from the album “Popol Vuh” from 1972. On this album, Jahn is playing percussion. Jahn Teigen wrote the song “Jødisk Partisansang”. Song appears on Side B and Track 1. This album was released in fhe fall of 1973 and was recorded in Rosenborg Studios. Jahn Teigen synger sammen med Guggen på “Forsiden av Verdens Gang” samt han korer. Dette på Side 1 – Spor 2. Jahn Teigen sings with Inger Lise Rypdal at “Honey, Honey” on this album. Jahn Teigen is not mentioned on this LP. Talent Records – LP – TLS 2009. Jahn Teigen sings “Sugar baby love” and “Steppin’ out” on this album. Jahn plays several instruments and some vocal. Arman Sumpe d.e. performs “Fly high” from the single from 1972. Popol Vuh performs “Music box” from the album “Quiche Maya” 1973. Jahn plays misc percussion and Glockenspiel. LP & MC, RCA Victor, 1974. Jahn Teigen on Guitar and Percussion. With others from Popol Vuh: Pete Knutsen – Piano/Guitar. Arne Schulze – Guitar. Thor Andreassen – Drums. Terje Methi – Bass. Jahn plays guitar and does some backing vocals. Jahn Teigen sings “I can do it” on this album. Jahn Teigen & Enemies performs “I think we’ll finish now” from the album “The Enemies” 1968. Arman Sumpe d.e. performs “Steelgrass” from their single from 1972. 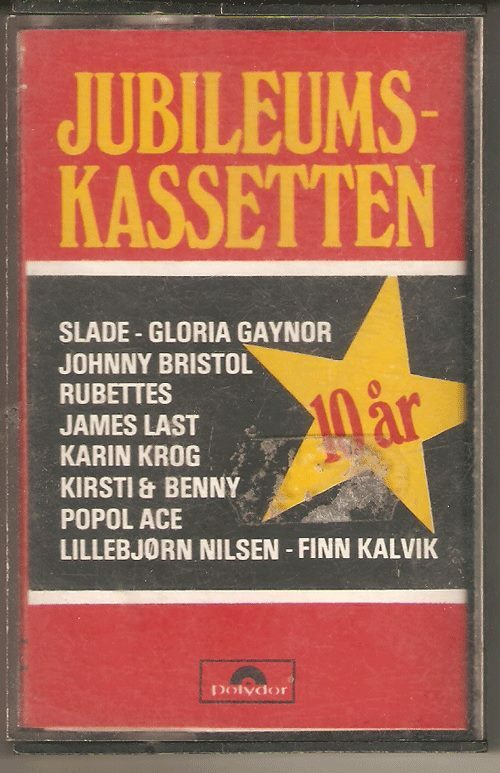 On this Tape, Jahn and Inger Lise Rypdal, perform “Voodoo”. Popol Ace and Jahn Teigen performs «Mrs. Randalle». from the album «Popol Ace – Stolen from time» released in 1976. Produced by Jahn Teigen, Kåre Skjevik jr. and Åge Aleksandersen. This is a Double live LP from the farewell show in Trondheim 11.12.1975. 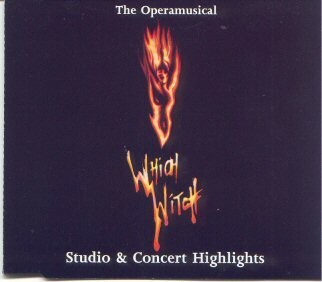 The first CD was released in 1992 was in a digipack and consisted of 1000 copies. The CD from 2004 is a regular double-CD. Popol Ace performs “The art of living” from the single from 1973. 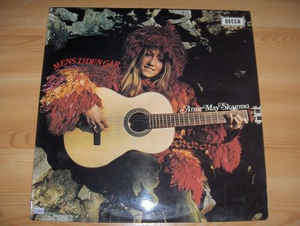 “Queen of all queens” from the album “Quiche Maya” 1973. Jahn sings misc childrens songs, and he also appears as “Kalle i treet”. Jahn and Inger Lise Rypdal performs “Voodoo”. Track 3, side 2. From the single “Voodoo” of Jahn Teigen and Inger Lise Rypdal in 1976. Below, you can see what the tape looked like. Jahn appears as the person “Riff Raff”. 3 Album-box released in two variations. Variations: Colors inside the box, and different tracklistings on the albums. Jahn performs “Henrik Ibsens triste natt”. Songs From the Leve Patgonia box. Jahn performs “Henrik Ibsens triste natt” on this album also. Jahn sings at side 1. “Steppin’ out”. From the album “På treff med 7”. At side 2, Jahn sings “I can do it”. From the album “På treff med 9”. Jahn Teigen wrote the melody and lyrics on “Close together”. Side B, track 4. Allison collected “Close together” from the album “Teigen’s tivoli” from 1977. The album was recorded in Copenhagen, jan. – febr. 1979. Jahn Teigen adn Inger Lise Rypdal perform”Voodoo” side B track 3 . Jahn sings “Rock’n’roll grandmother” from the album “Teigen’s tivoli” 1977. Jahn sings “Sala Palmer” from the album “En dags Pause” 1979. On this album from 1979 Jahn performs the song “Stolen from time”. “Stolen from time” is originally from “Teigen’s Tivoli” from 1977. Det Beste-70-årene i norske toner, 7″ free flexidisk. Jahn sings “Sugar baby love” from the album “På treff med 7” 1974. Jahn is the album producer. Norsk 1: Diverse artister – “One for the Road”. Jahn sings “San Francisco morning” and “Into the sun” from “Teigen’s Tivoli” 1977. Jahn Teigen is one of the many musicians. On the song “Skammens terskel”, Phil Collins (Genesis) plays the drums. Jahn sings “Når jeg kommer diiiit ” from the album “Fisle narrepanne i Tyrol” 1981. Jahn sings “Bli bra igjen” from the album “Klar dag/Instamatikl” 1982. Tape nr.2 side 2 track 1 – “Når jeg kommer diiiit” with Prima Vera. from the album “Fisle narrepanne i Tyrol” 1981. Tape nr.4 side 2 track 2 – Jahn sings “Bli bra igjen” from the album “Klar dag/Instamatikl” 1982. On this collection from VG comes a flexi disc. Lars Kilevold with “Gummi-Sangen”. Jahn Teigen produced and arranged this album. Anita Skorgan performe the song “Oss er alt vi har”. Produced by Jahn Teigen. “Oss er alt vi har” is from the studio album “Pastell” which also is produced by Jahn Teigen. “Pastell” and the song “Oss er alt vi har” was initially released in 1981. This album is produced in Israel and cinsists of 13 ESC Songs. At side A, track 3, Jahn Teigen and Anita Skorgan performs “Adieu”. Prima Vera performs “Det er Norge som er bra”. From the album “Brakara” of 1978. Jahn Teigen produced this album. Jahn Teigen is singing with Torstein Bieler at the songs “Edens øy” and “Telefon”. Backing Vocals: Anita Skorgan, Jahn Teigen and Torstein Bieler. From the album “Teigen performs Falsk” of 1975. At this single, Jahn sings with Torstein on the song “Telefon”. Jahn also produced the single. 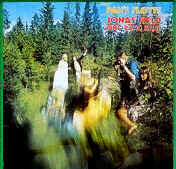 At this maxi single, Jahn sings with Torstein on the song “Telefon”. Jahn also produced the maxi single. Norsk rock, 5 LPer/MCer in a box, Bokklubben nye bøker, 1982. Popol Vuh performs “All we have is the past” from the album “Popol Vuh” 1972. Popol Ace performs “Queen of all queens” from the album “Quiche Maya” 1973. Jahn Teigen performs “They dont clap loosers” from the album “This years loser”1 978 and “En dags pause” from the album “En dags pause” 1979. Jahn Teigen performs “Heia Eik”. Track 1. Side 1. Jahn Teigen performs “Mål”. Track 1. Side 2. Jahn Teigen is the producer of this tape. Jahn wrote the song for the movie “Saga om Olav den hellige”. Jahn performs “Do re mi” from the single of 1983. Jahn performs “Do re mi” from the single of 1983.. location on Tape: side B, Track 4. The same on the Album. The album and tape cover are identical. These two were ONLY released in Israel. Jahn performs “Do re mi” from the single of 1983. Location on tape: Side A, Track 1. Jahn performs “Do re mi” from the single of 1983. Location on tape: Side B, Track 1. Jahn and Anita performs “Friendly” from the album “Cheek to Cheek” of 1983. Prima Vera fperforms”Olav’s Menn”. Side A – Track 1. Album: “Her kommer Olavs Menn” of 1983. On this tape, 13 artists contribute against drug abuse! Jahn performs “Sånn er det”. From the album “Klar dag / instamatik. This is the first time this song is presented on any other media than the album/tape/cd “Klar dag / instamatik of 1982. Jahn performs with Prima Vera “Olavs menn” From the album “Her kommer Olavs Menn ” of 1983. Location on tape: Side A, Track 1. Jahn performs “Celebration” from the single “Celebration” of 1984. Jahn performs “Don’t cha touch me” from the album “Cheek to Cheek” 1983. Jahn performs “Sugar baby love” from the album “På treff med 7” 1974. Jahn Teigen and Arne Bendiksen wrote melodies and lyrics. City life / He’s dangerous 7 ‘, Little Big Apple Records, 1984. LBAS – 1005. Jahn Teigen has written the text of Storbyliv. Album 1. Track 5 – “San Francisco Morning”. Album 1. Track 11 – “Into the sun”. Album 2. Track10 – “Donna”. Jahn contributed as songwriter on these songs: “You’re the one”, “Search and find” og “Karma”. Prima Vera performs “Olavs menn”. From the studio album “Her kommer olavs menn” fof 1983. Tape Location: Track 3, Side 2. Jahn Teigen and Anita Skorgan performs “Friendly”. From the studio album “Cheek to Cheek” of 1983. Tape Location: Track 4. Side 2. Jahn sangen performs “Risk” From the album “Mentalkrem” of 1980. Jahn performs on the song “Sammen, for livet”. Jahn was not present during the photosession for the cover. Jahn performs “Harlequin” from the single of 1986. Jahn performs “Eiksangen” fom1986. The song that Jahn performs is on this tape only. Jahn contributed with music to the song “Care to Care”. Jahn Teigen & Anita Skorgan performs “Open up” From the album “Cheek to Chek” 1983. NB!! This tape came with a black and white covert cover. Brødre skal dele – En, to, tre så tar vi skatten – Dumt og dyrt å takke nei – Blod og gull og Englands hyllest. 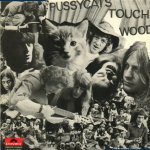 Located at side 2 of the album.SKATTEN PÅ SJØRØVERØYA:Skatten på sjørøverøya, om gutten Jim som spiller den gode fè blandt sjørøvere i kampen om en skattekiste, er kjent som teaterstykke i adskillige versjoner. Men fremfor alt er det en roman. Kanskje verdens mest berømte guttebok. Og allikevel ansett som et mesterverk i litteraturhistorien. Forfatteren utgav den først som føljetong. Da den kom i bokform i 1883, betød det et absolutt gjennombrudd for Robert Louis Stevenson. I privatlivt vardenne spenningsforfatteren, som også er opphavsmannen til “Dr. Jekyll og Mr. Hyde”, en svakelig drømmer i kamp mot dødelige lungelidelser. Han hostet blod over skrivepapiret, mens han drømte om sydhavsøyer. Skatten på sjørøverøya er oppfyllelsen av en guttedrøm, hvor skurkene ikke er skurker, men hvor det gode seirer allikevel. Man holder med gutten Jim fordi han er gutt. Men man holder også med den enbente John Silver, fordi han er slik en eventyrer skal være og slik små gutter gjerne vil være. Drømmen om en øy har også drømmen om vågemot og spenning i seg. Selv bosatte Robert Louis Stevenson seg på Samoa i Stillehavet. Det var lange efterat han hadde skrevet sin eventyrfortelling. Han døde der i 1894, og ligger begravet under en Palme som om han selv var en hemmelig skatt på en sjørøverøy. Jahn performs the song “Glasnost”. From the album “Klovn uten scene” 1988. Tape Location: Side A. Track 2. Jahn performs “Det vakreste som fins” from the album “Klovn uten scene” 1988. Jahn performs “Glasnost” from the album “Klovn uten scene” 1988. Jahn performs “Sugar baby love” from the album”På treff med 7″ 1974. Jahn performs “Kast Våpen” from the single “Optimist”. “Kast Våpen” was the B side on that single. “Kast Våpen” is also performed in the movie “Sigurd Drakedreper”. Jahn performs “Optimist” ffrom the single “Optimist” 1989. Prima Vera performs “Skokiian” from the album “Den 5te” 1981. On this CD, Jahn Teigen co-wrote song number 8. “You are so beatiful to me”. Jahn performs “Optimist” from the single “Optimist” 1989. Jahn performs “Kast Våpen” from the single “Optimist”. “Kast Våpen” was the B side on that single. Tape Location: Side B, Track 4. Jahn performs “Kast Våpen” from the single “Optimist” 1989. “Kast Våpen” was the B side on that single. Jahn performs “Smil” from the single “Smil” 1990. Teigen performs and is the executioner in this performance. Jahn performs “Lev din drøm” from the single “Lev din drøm” 1990. Jahn performs the ESC Song “Smil” from the single “Smil” 1990. Jahn Teigen performs “Lev din drøm”. From the single “lev din drøm”/”Drøm ditt liv” fra 1990. Jahn Teigen & Anita Skorgan performs “Friendly” From the album “Cheek to Cheek” 1988. Jahn and the band De Tre Små Griser performs “Pappa jag vill ha en italienare”. Tape Location: side 1 Track 2. Dollie de Luxe: The Operamusical Studio & concert Highlights. On this CD-Single there are 3 tracks. Jahn performs on track 2, “The Executioner” wich is a live version. Jahn performs “Gi meg fri”. from the album “Esilio Paradiso” of 1992. MC & CD,EVA Records A.S., 1993. Jahn performs “Min Første Kjærlighet”. from the album “En dags Pause” 1979. Disc 1 covers the years from 1967 to 1976. Arman Sumpe D.E. – Steelgrass Track 10 and Popol Vuh – Neon Nightmare Track 16. Jahn performs “Midt i tida” Tape Location: Track 1, Side 2. Between the songs, Tom Mathisen is talking. Jahn Teigen performs «En dags pause» song number 4 side 2. Jahn Teigen performs a duet on the song “Wheels in motion” in a connection to the world bicycle championship. Jahn Teigen performs “Det vakreste som fins”. Track 10. From the album “Klovn uten scene” 1988. Jahn Teigen performs “Det er Datavarehuset”. Track 3 and “Paint your dream” Track 5. Jahn Teigen performs “På vei til USA” from the CD single “På vei til USA” 1994. At disc 1,ahn Teigen og Anita Skorgan performs : “Friendly” from the album “Cheek to Cheek” 1983. Jahn performs “Det vakreste som fins”. Track 16 on CD and MC sfrom the album “Klovn uten scene” 1988. Jahn performs “Mil Etter Mil”. Track 6 on this cd. From the album “Mil Etter MIL” fra 1982. Mil etter Mil – Track number 3. Jahn performs “Lill Ingrid” and “O sole mio”. These two songs were only published on this CD. On this CD there is an error with the tracklist. They appear as follows: “O sole mio” and “Lill Ingrid”. These two songs were only published on this CD. Only released on this single and CD. On this double cd, Jahn performs 3 songs. 1 – “Mil etter Mil” track18, disc 2 – 1978. 2 – “Adieu” m/Anita, track 22, disc 2 – 1982. 3 – “Do-Re-Mi” track 23, disc 2 – 1983. Jahn performs “Mil Etter Mil”. Track 3 on this CD. From the single “Mil Etter MIL” of 1982. Jahn performs the themesong “Stjerner i sikte” from the CD “Stjerner i sikte”. 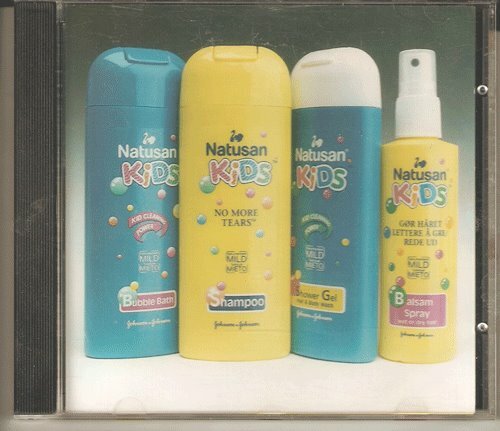 This CD was produced in Israel 1996. Jahn performs Track 2: “Mary Cries Help” with the band “Lions of Judea”. From their EP of 1969. Jahn sings on Track 4: “I` ve got star shine. I `ve got luck”. From their single in 1970. 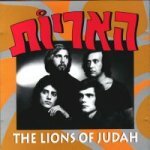 Jahn performs Track 15: “Where I Belong” with the band “Lions of Judea”. From their single of 1970. Jahn performs at two previously unpublished songs: “I need every bit of your heart” and “Sherry”, together with “Five times I’ve said goodbye” and “Good news” from the 1969 single. Jahn performs “They don’t clap losers” from the album “This years loser” 1978. This is A Boxed CD with 24 artists, and a story about each of them. Jahn performs “Min første kjærlighet” from “En dags pause” 1979. Jahn Teigen og Anita Skorgan performs “Friendly” from the album “Cheek to Cheek” 1983. Published by Egnont Music Club. Disc 1: Jahn Teigen/Anita Skorgan performs “Friendly” from “Cheek to Cheek” 1983. Disc 2: Jahn Teigen performs “Mil etter Mil” from the single “Mil etter Mil” 1978. Published by Egmont Music Club. Disc 1: Jahn Teigen Performs “Mil etter Mil”, from the single “Mil etter Mil” 1978. Disc 2: Jahn Teigen Performs “Min første kjærlighet”, from the album “En dags pause” 1979. Disc 2: Prima Vera performs “Det er Norge som er bra”, from the album “Brakara” 1978. Disc 1: Jahn Teigen performs “Når jeg kommer diiit”, from “Fisle narrepanne i Tyrol” 1981. Disc 2: Jahn Teigen/Anita Skorgan performs “Adieu”, from the album “Klar dag/Instamatic” 1982. Disc 1: Jahn Teigen/Anita Skorgan performs “Frendly” from the album “Cheek to Cheek” 1978. Disc 2: Jahn Teigen/Anita Skorgan performs “Do-Re-Mi” from the single “Do-Re-Mi” 1983. Disc 1: Jahn Teigen performs “Det vakreste som finns” from the album “Klovn uten scene” 1988. Disc 2: Jahn Teigen performs “Glasnost” from the album “Klovn uten scene” 1988. Disc 1: Jahn Teigen performs “Gi meg fri” from the CD “Esilio Paradiso” 1992. Jahn Teigen appears on the album. Jahn and Anita performs “Friendly” from the album “Cheek to Cheek”, 1983. Jahn Teigen performing “Summen av nå” which is taken from the CD “Magnet”, 2000. CD & MC, Frituna, 2000. Frituna – CD – 8535 2000-2000. Frituna – MC – 8535 to 2000. On the CDs so performed “Det vakreste som finns” on Disc 1 and track 5. Jahn performs “Magnet” from the CD “Magnet”, 2000. Jahn performs “God Jul Og Godt Nyttår” from the CD “Lys” 1996. Jahn performs two songs: “Mil etter Mil” and “Det vakreste som finns”. He also wrote the melody and lyrics for “Enitel-sangen”. “Enitel-sangen” has the melody from “Optimist”. Inger Lise Rypdal and Jahn Teigen perform “Voodoo”. Track 3. Jahn performs “Min første kjærlighet” from the album”En dags pause”, 1979. Popol Vuh are the musicians. Backing Vocals: Jahn Teigen. Songs: “The Wanderer”, “Berry rides again”, “When my blue moon turns to gold again”. Recorded: 20.06.1974 at Arne Bendiksen Studio. Popol Ace are the musicians. Backing Vocals: Jahn Teigen. Songs: “Gonna send you back to Georgia”, “Promised land”, “Sweet little rock’n roller”. Recorded: 16.12.1974 at Arne Bendiksen Studio. This compilation. 2002. Good Norwegian. On this CD Jahn Teigen is a guest vocalist and performs with Inger Lise Rypdal ” Honey Honey “. On this CD Jahn is a guest singer and performs his own song “Edith”. The song is dedicated ti Edith Piaf. Written and performed in French. “Edith” is only on this CD. This is a double CD. At disc 1. 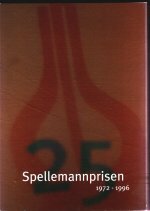 Track 26, Jahn performs “Mil etter Mil”. Sommermusik – Att laga mat til. The CD, EMI Music Norway AS. 2004. EMI Music Norway AS. – 72438641752. On this CD performs Jahn Teigen “Min første kjærlighet” Retrieved from LP “En dags pause” that came out in 1979. 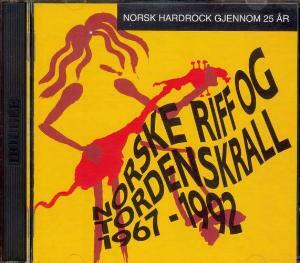 This CD is number 4 of 6 from a project called Norwegian Rock History, that aired on NRK in 2004. The CD covers the years 1966-1969. On this CD, Jahn w/The Enemies performs “I don’t”, Track 12. From the album “The Enemies”, 1968. This CD is number 6 of 6 from a project called Norwegian Rock History, that aired on NRK in 2004.. 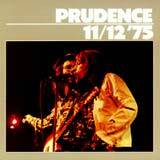 The CD covers the years 1971-1977. On this CD, Popol Vuh performs “Queen of all Queens”, Track 1. From the album “Quiche Maya”, 1973 and “All we have is the past”, Track 17. From the album “Popol Vuh”, 1972. At disc 2. Track 7, Jahn Teigen and Anita Skorgan performs “Friendly”. 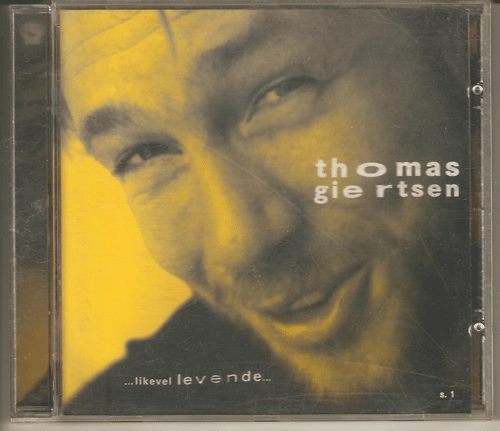 This CD was sold with the magazine Se & Hør Weekend released on 28.01.2005. NB!! This is the only publishing of this CD. Jahn performs “Engel” (Track 5) from the album “Magnet” released in 2000. CD and DVD, Music Business Norway A.S. 2005. Jahn performs “My heart is my home ” track 5. Track 5 also on the DVD. Music: Jahn Teigen and Anita Skorgan. Lyrics: Jahn Teigen, Anita Skorgan and Jan Vincents Johannessen. Jahn Teigen performs “Mil etter Mil”. Located at CD 2,Track 2. 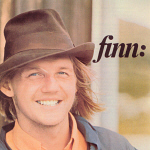 Jahn Teigen is at disc 2 – Track 10 with “Min første kjærlighet” from the album “En dags pause” 1979. Popol Vuh is at disc 3 – Track 7 with “Queen Of All Queens” from the album “Quiche Maya” 1973. Prima Vera is at disc 10 – Track 13 with “De gærne har’e godt” from the album “HA HA HE HE HO! ( De gærne har’e godt)” 1982. Jahn Teigen performs “Voodoo” with Inger Lise Rypdal. Track 16 – Disc 1. On this CD Ingamay Hørnberg sings a duet with Jahn Teigen on “Engel” from Jahn’s album “Magnet” released in 2000. “Engel” is located at Track 3. Track 07 – Min første kjærlighet. Track 10 – Mil etter Mil. Track 11 – Do Re mi. Jahn Teigen performs “En dags pause”. Track 2. Disc 1. from the album “En dags Pause”. 1979. Jahn Teigen performs “God Jul, Godt Nyttår”. Located at CD 1,Track 7. Jahn Teigen performs “Min første kjærlighet”. From the studio album “En dags pause” 1979. 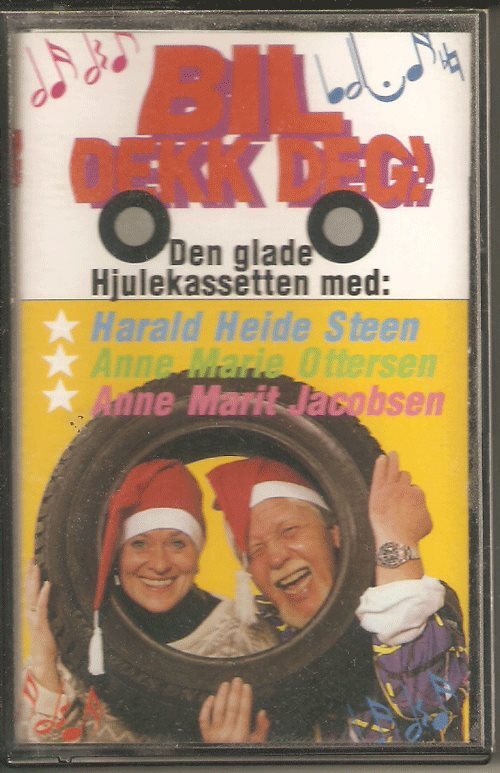 “Min første kjærlighet” is Track 8 on this CD. On this CD, Jahn Teigen and Anita Skorgan performs “Friendly”. Located at Disc 2, Track 3. Jahn Teigen og Anita Skorgan performs “Friendly”. Located at Disc 1, Track 12. Jahn Teigen and Inger Lise Rypdal perform “Voodoo”. Located at Disc 1, Track 18. Jahn Teigen performs “Steppin`out (I`m gonna boogie tonight). Located at Disc 2, Track 2. Jahn Teigen performs “Sugar baby love”. Located at Disc 2, Track 8. This is a COMMERCIAL record, NOT FOR SALE!! Fiat 127 – ( Introduction to a presentation ). Glimor Shampoo – ( Music for agents ). Kellogs Corn Flakes – ( Commercial spot – Music ). Pepsodent – ( Commercial spot – Music ). Wasa Knekkebrød – ( Music for a presentation ). Bettong er tingen – ( Music for a presentation ). Jahn Teigen perform “Feil Vei”. Track 8. from the album “Mentalkrem” 1980. Prima Vera performs “Ha ha he he ho (De gærne har`e godt)”. Track 11. from “Ha ha he he ho (De gærne har`e godt)” 1982. Jahn Teigen og Anita Skorgan performs “Adieu”. CD 2, Track 7. Anita Skorgan perform “Adieu” Track 22 – Disc 1. “Friendly” Track 23 – Disc 1. “Sound of love” Track 24 – Disc 1 with Jahn Teigen. On “Så Sjenert” Track 16 – Disc 1 Jahn Teigen sings backing vocals. in addition on this CD by Anita Skorgan, Jahn Teigen is also on “Farvel” Track 15 – Disc 1 – He wrote the music with Anita Skorgan. 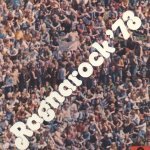 Regarding “Karma” Track 21 – Disc 1 music written by Anita Skorgan and Jahn Teigen , wich also is the fact for ” “Over and Over” Track 25 – Disc 1. Track 18: Mile after mile.